First achieving notority as a graffiti artist, Jean-Michel Basquiat became one of the most significant artists of the 20th century, creating neo-expressionist paintings that conveyed astute social commentary and drew on references from Roman art to jazz. 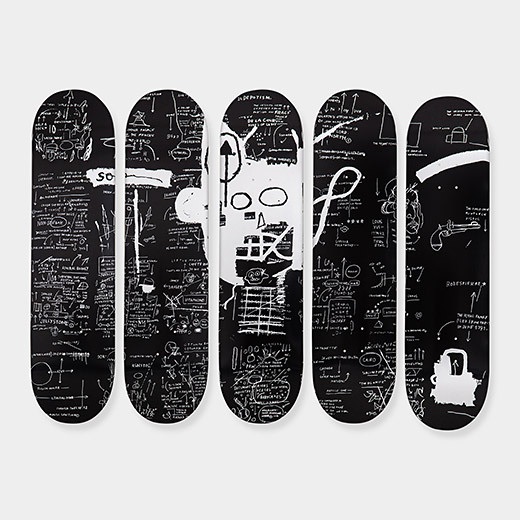 This set of five skate decks features images from his 1983 work Untitled, which is in MoMA's collection. 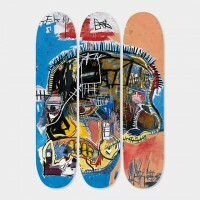 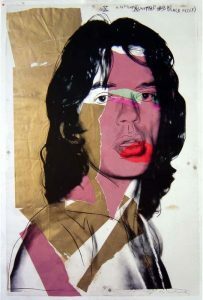 One Response to "Jean-Michel Basquiat – Skate decks Demon"
Please tell me the shipping cost to Japan.